A voter casts his ballot for the presidential and legislative elections in the Democratic Republic of the Congo, November 2011. President Joseph Kabila has announced that he does not intend to run in elections scheduled for December 2018. The United Nations Secretary-General has commended the President of the Democratic Republic of the Congo (DRC), Joseph Kabila’s decision on Thursday, not to stand in elections scheduled to take place on 23 December. In line with constitutional rules, Mr. Kabila was due to end his mandate as leader of the Central African nation, in 2016. Following delays and subsequent political mediation, his term was extended until December 2017, but protests were sparked when polls were once again delayed by 12 months, resulting in the violent repression of demonstrators by Congolese security forces. Mr. Kabila’s name is absent from a provisional list of candidates that was published by CENI, the DR Congo’s electoral commission, on the 8 August. The following day, a joint statement from Canada, the US, Switzerland, the EU and African Union, as well as the UN Stabilization Mission to DRC (MONUSCO), applauded President Kabila for agreeing to step down at the end of the year. A statement issued on Thursday night by the Spokesman for Mr. Guterres, added that the Secretary-General also welcomes the continued progress towards the holding of presidential and legislative elections in the Democratic Republic of the Congo at the end of the year, preparing the ground for a peaceful transfer of power. 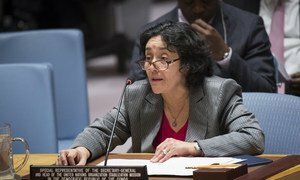 Despite the Presidential announcement, Leila Zerrougui, the UN Special Representative for the country and head of MONUSCO, has expressed concerns about the lack of a “level playing field” in the political process so far this year, citing opposition grievances - including over voting machinery and electoral records - and ongoing human rights violations: civil society actors and political opponents in DR Congo continue to be arbitrarily arrested and media workers threatened. She warned that, without progress on these fronts, the credibility and inclusivity of the elections may be at risk. 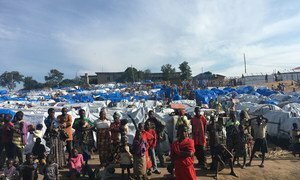 Major progress has been made on preparations for the upcoming elections in the Democratic Republic of the Congo, but “conditions for a level playing field are not yet in place”, said the most senior United Nations official based in the country.